Some years ago, bidding on keywords and ranking high on search engine results used to be relatively easy. Online marketers needed to simply mention a keywords a couple of times while providing virtually any content at all that was loosely related to the keyword search. Affiliate marketers dominated many search engine results, and business that could convert leads into profitable dollars simply could bid on the most popular keywords and get a lot of profitable online traffic. Then Google and Yahoo officials decided too much Spam dominated their search results. While they made a great deal of money off of the activity, officials at Google in particular realized they better clean up their results or leave the door open for a savvy competitor to put out a better product. To prevent Spam sites from ranking high and to help ensure keyword results truly are relevant for consumers, Google and Yahoo programmers designed tougher algorithms, rolling them out in about 2010 and again about a year later. Google began actively reviewing websites and manually banning many practices that once proved highly profitable. Now, many websites whose sole purpose was to generate online traffic for others sites generally do not exist. Neither do cookie-cutter sites that offer no real unique or relevant information for consumers. Once the algorithms culled through virtually all sites active on Google, the majority of affiliate marketers and Spam sites were wiped out, and continual updates prevent sites with thin content from prospering. The demise of the majority of Spam and affiliate marketers proved beneficial for businesses of all sizes and small businesses in particular. Now, they don’t have to waste their SEO marketing budgets battling with garbage websites for search engine rankings. Google loves the providers of the goods and services consumers seek online as well as the highly relevant informational sites, such as professional organizations and many non-profits. And that love is shown in higher rankings and more affordable pay-per-click campaigns. 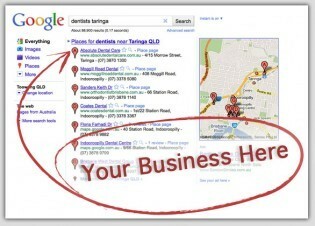 That means smart SEO strategies will reap great rewards for today’s small business owners. Have you noticed increased and more profitable online business traffic in recent years?